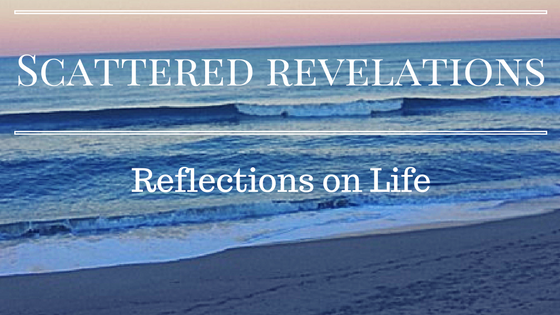 I preached this sermon on Sunday May 24, 2015 at the Unitarian Universalist Congregation of the Outer Banks. Some churches have towers with bells that ring out the hours. Some churches have organs whose mighty sound spills out into the streets. Some have handsome doors of carved wood, or colorful stained glass windows. But in 1923, in Prague, Czechoslovakia, there was a plain church that had none of these things. The church had just four walls, a ceiling, and a floor. The church had a door, a few windows, and some wooden chairs. But the church had something else. It had people. They came every Sunday and they were the most important part of the church, because without people, a church is just a building. The minister of this church was Norbert Čapek (sounds like CHAH-peck). He had been the minister for just two years. Every Sunday, the congregation listened to Reverend Čapek’s sermon. They sat quietly in their wooden chairs. Afterward, they talked to one another a little bit, and then they went home. That was all—no music, no candles, no food. Not even coffee or doughnuts. Reverend Čapek wanted more. He wrote some songs, and the people sang them, but mostly the church went on as before. Then spring arrived, and Norbert Čapek went out for a stroll. The rains had come and gone, birds were singing, and flowers bloomed everywhere the Reverend looked. In the middle of all that beauty, he got a new idea. That Sunday, Reverend Čapek asked all the people of the church to bring a flower the next week, a budding branch, even a twig. Each person should bring one, he said. The next Sunday was the first day of summer, and people came to church with flowers of all kinds. There were yellow daisies and purple roses. There were white lilies and blue asters, dark blue pansies and long branches with pale green leaves. Pink and purple, orange and gold—all these colors and more. The flowers spilled over, filling all the vases they could find. Years later, many members of the church could still remember what Reverend Čapek said that Sunday. Reverend Čapek asked them each to take a flower home, choosing a different flower from the one they brought. And they did. travelers through all to brief life times. It was Norbert Capek’s wife, Maja who brought the Flower Festival Ritual to the United States. Norbert and Maja, a Czech born American, met in New York where Norbert was studying for his PhD. After he finished his studies and discovering Unitarianism, Maja and Norbert founded the Unitarian church in Prague. Maja became a minister herself, ordained in 1926. Maja toured the United States in 1940 and introduced the Flower Festival to the members of the Cambridge, MA Unitarian church. Unfortunately the outbreak of World War II prevented Maja from returning to Prague. After the war ended, she learned that Norbert, who was vehemently opposed to the Nazi regime, was caught listening to foreign broadcasts and accused of high treason and died in a Nazi death camp. Another reason I love this ritual is because it is one that we created and continue to revise, transform and adapt. In a community bound by covenant, without a shared single book of prayer or services, the rituals of lighting a chalice, water communion and flower communion have become ways we affirm our connections to each other and the wider world of Unitarian Universalism. Flower Communion or the Flower Festival came to us from Europe. Water Communion came out of a gathering of American Women UU Clergy. The symbol of the chalice was the symbol of the Unitarian Service Committee. Upon consolidation in 1961 the second ring was added to symbolize the joining of the two. Lighting a chalice during worship and at meetings was a way congregations made the symbol their own. Our free faith invites this creativity and innovation. We are free to adapt rituals to meet our needs – such as adapting the ritual of baptism into a Child Welcome and Dedication. We are also free to create new rituals such as Flower Communion and Water Communion to meet our needs to celebrate our coming together, our connections to each other, the ebb and flow of our lives and our community’s lives. 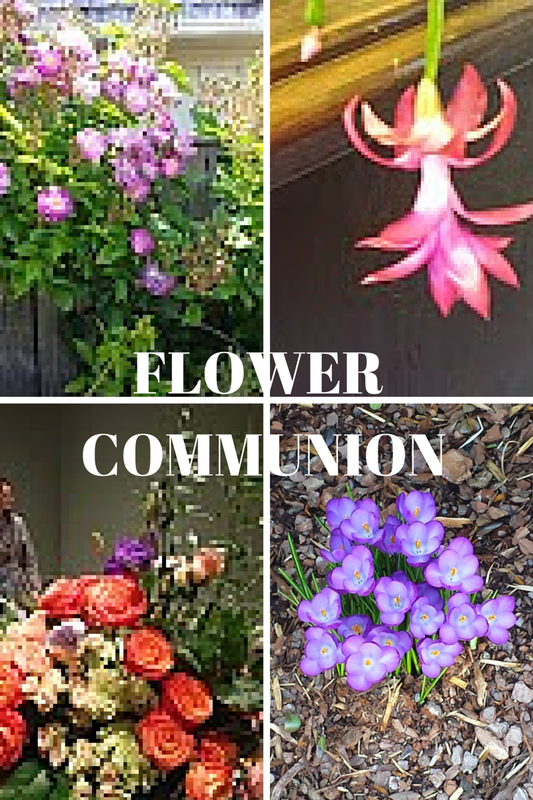 Flower Communion reminds us of the beauty of diversity. It is a tangible reminder that our planet is bursting with a wide range of flowers, plants, fish, birds, and animals. If there is one thing we could say about creation is that it rejoices in abundance and diversity. It reminds us that each human being is unique and distinct and valuable. In a world set on creating hierarchies, us vs them, the Flower Communion reminds that we are all human – each deserving of dignity and worth. That each of our lives and our stories has value. We are each beautiful as each flower is beautiful. Each flower has intricate details like many petals and reminds us that each individual is unique with multiple layers of identity. The flowers remind us that the beauty of the rose is in no way diminished by the beauty of the daisy; that beauty is found in bright colors, in the pastels, the white and the green. It also reminds us that at the heart of our faith communities are not our buildings or our things but rather at the heart of this community is its people. Norbert Capek’s church building was plain with no pictures or other ornamentation. Yet each Sunday it was filled with the beauty of the people and that Sunday the beauty of the flowers they brought with them. It reminds me of a game my mother used to play with me when I was a child. She would put her hands together like this (demonstrate) and say “here is the church, and here is the steeple, open the doors and there’s all the people.” She taught me an important lesson that the church was the people; that without the people the church was just an empty building. Flower Communion reminds us that it is each of us that brings this place to life, fills it with beauty and vitality. Flower Communion reminds us of the beauty of each one of us. In our reading today, Elizabeth Strong reminds us that it is a long journey to the blooming time and that it lasts only a short time. This line strikes me particularly this year, this Flower Communion. Last year was the first time I led a Flower Communion while having participated in many through the years and this year will be my last with you. It brings home that my time with you is coming to an end. I am grateful today that we have this chance to celebrate this festival of beauty and flowers together.